"My Favorites with ULYSSES" is for our customers to post their favorite picture of the camera or items with our product. 1. We only accept JPEG image data. 2. The application picture must be taken by the applicant who has a copyright. 3. Ulysses assumes no responsibility for subject's portrait right violation. 4. Please understand there is a case that we use the application picture on our home page at no charge besides My Favorite with ULYSSES. 5. You can't apply with the same picture which is already posted on this page. 1. Your application picture will be posted on the page after the examination. 2. The personally identifiable information such as applicant’s name, mail address, etc. will not be posted on the site. 3. When posting, we will adjust the picture to 700 pixels wide. *Please note we cannot post the picture when the size of the original is too small. Email us with necessary information below and attach the picture of your camera or item and Ulysses product. 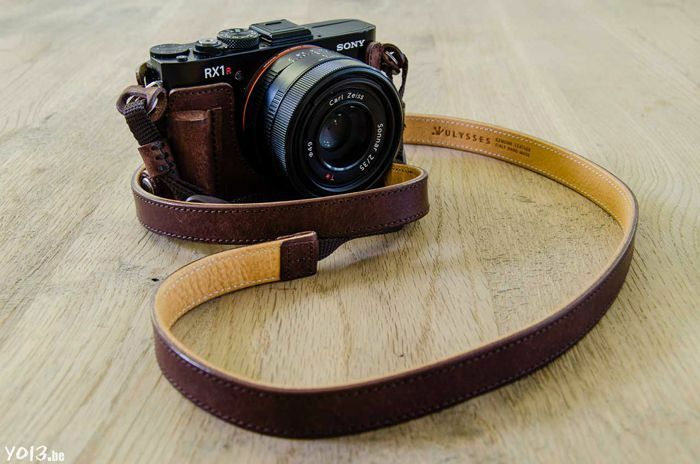 This camera strap is a thing of beauty. It looks custom built for my x100F. 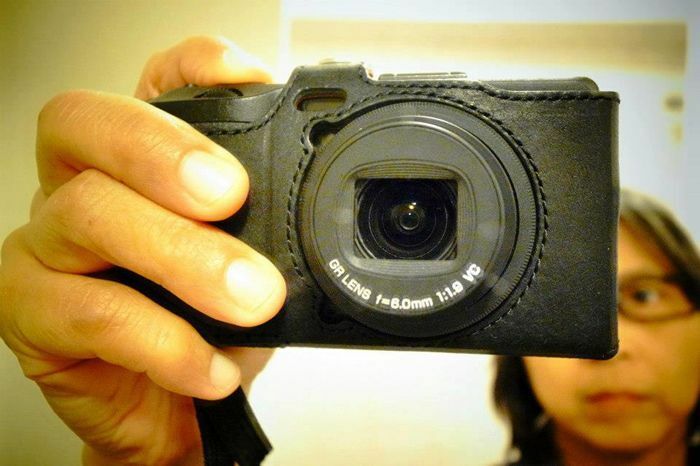 It's super comfortable, and it encourages me to bring my camera more places, which means I take more pictures. Thank you for such a wonderful product. This is a @@@@@(Excellent) product. Thanks so much. Beautiful design with flawless execution. 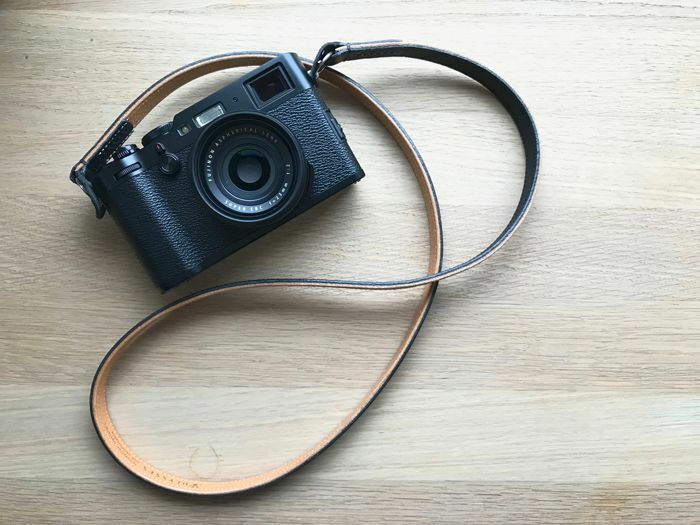 This strap looks great on my camera. It is perfectly well made, has that fresh premium leather smell and the stitching is beautiful. 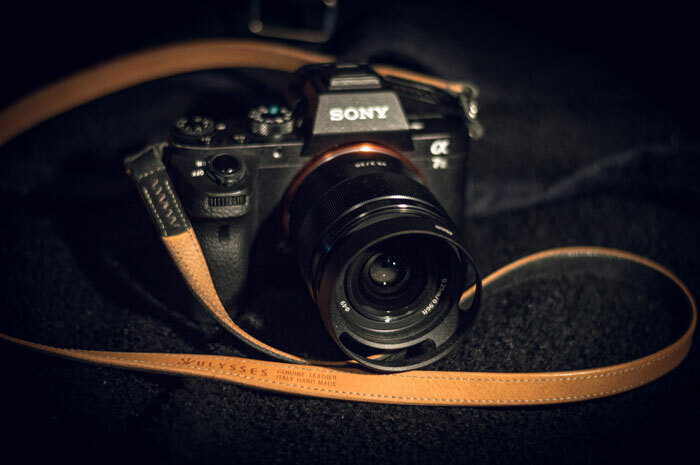 It really adds to the premium look of my camera, which does look incredibly bland and boring with the Sony strap. Some people even ask me if it is a Leica! I can't recommend this product enough. It is one of those rare objects which are almost an investment in that you are so certain they will never break and will only get better with time as the leather ages and shows it's character. The Ulysses product I bought is exactly how I wanted it to be. 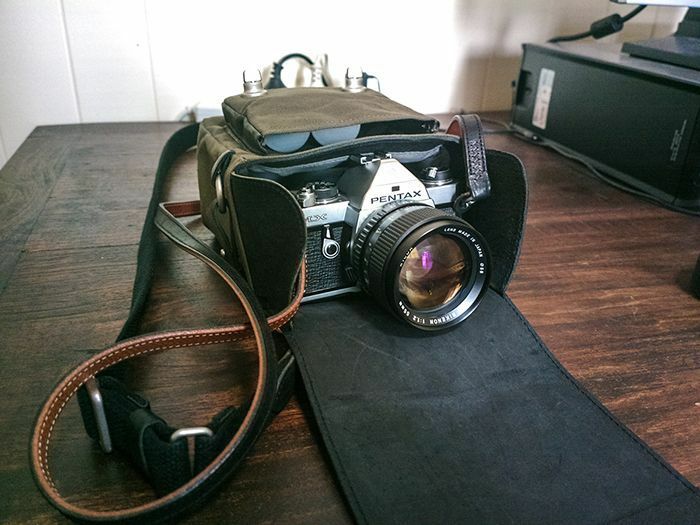 I got the RX1R2 black leather case with a black strap. This is the first time I bought from Ulysses. 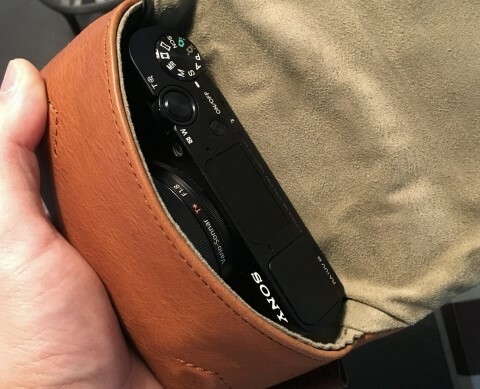 The leather case helped to improve the grip and even though there's not much review in the Internet on how well the grip is made, the Ulysses blog and thought process helped me make my decision. When I got the product after about 1 week, the products that I have received are perfect for my use. My fore finger wraps around the top of the grip while my other fingers held on to it. It felt very natural and I'm glad I bought from Ulysses. The leather and the other materials felt extremely authentic and well built. 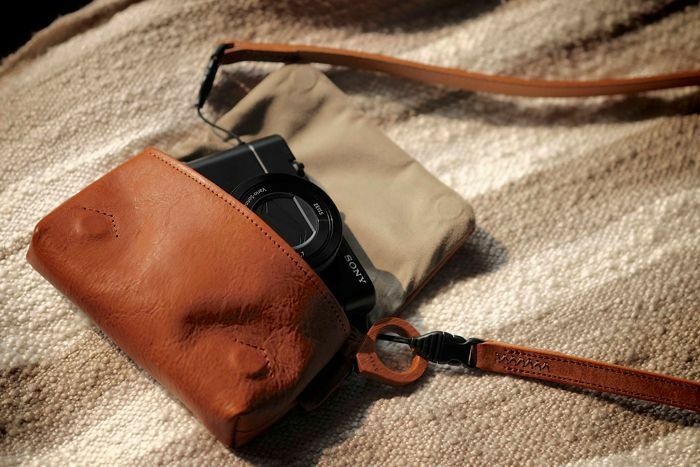 When other people feel and use my camera with the leather case, they are convinced on how premium the leather is as well as the sturdiness of the whole case. There's nothing more I can ask for and with what you're buying from Ulysses, you're definitely purchasing an extremely well built product that I believe can last as long as your camera. From what I'm seeing, I believe Ulysses has put their heart and soul, bundled with clever thoughts and designs into their every product and I would never stop recommending Ulysses. fast delivery, the case fits like a glove, the leather is high quality and the case and strap are a perfect match. 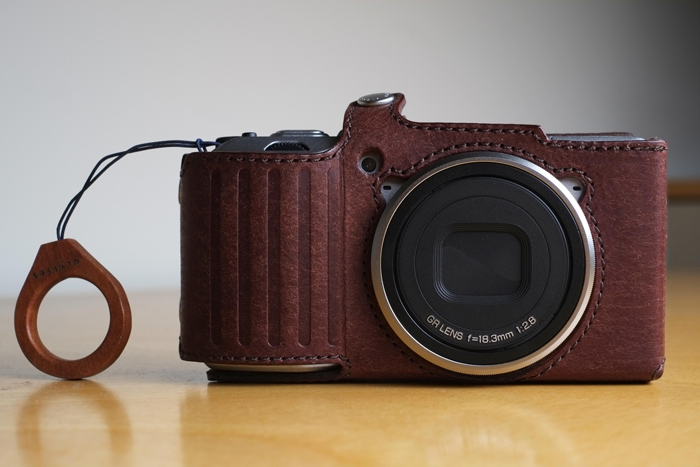 I purchased Leather Camera Case CUSCINO(brown, smaller size) and I am stunned by this amazingly crafted and beautiful product. Stitches are beautifully crafted and the leather quality is to the finest, well choreographed with smooth inner material which feels like suede. 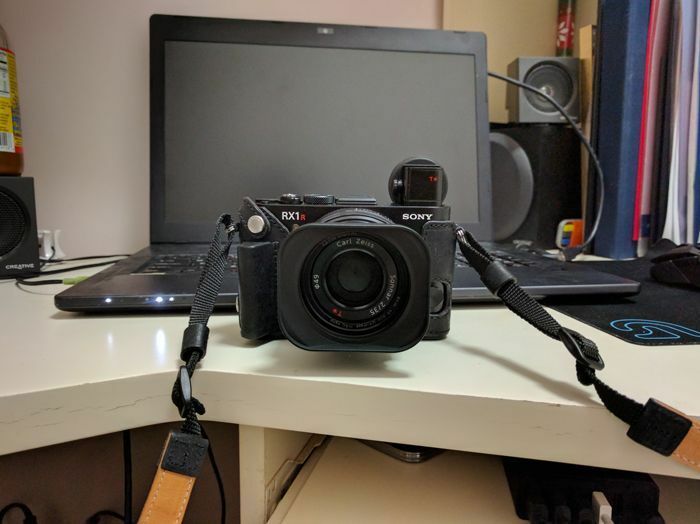 First and foremost, it perfectly fits my SONY RX100 M3, it's not too snug and it's not too loose. In terms of protection, if you have a brief compartment in your bag or do not carry anything sharp, heavy that may harm your camera when the whole bag shakes, the case will be a suitable choice. Aside from numerable goodness of this product, there are some that needs to be improved. First of all, since the smaller size CUSCINO is so in the right size, it is little bit clumsy when you pull out your camera from the case. You could pull it with wrist or neck strap, but pulling it out with wrist strap doesn't work so well because the strap only pulls one corner out of the case and the case doesn't have enough space or the camera to be tilted. 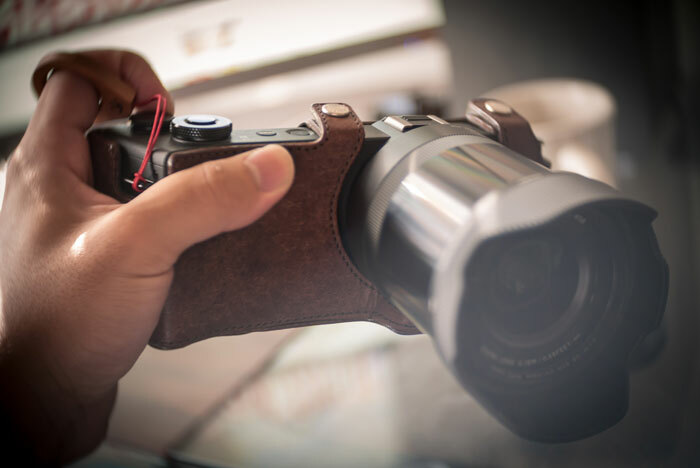 Secondly, since the leather has been modified along the time and usage, camera lense shape is reflected to the case, which is okay since the upper part covers it. In addition, the spot where magnet is embedded become tamped due to the frequent opening and closing. Lastly, small size case looks the best when the camera is not inside of the case. 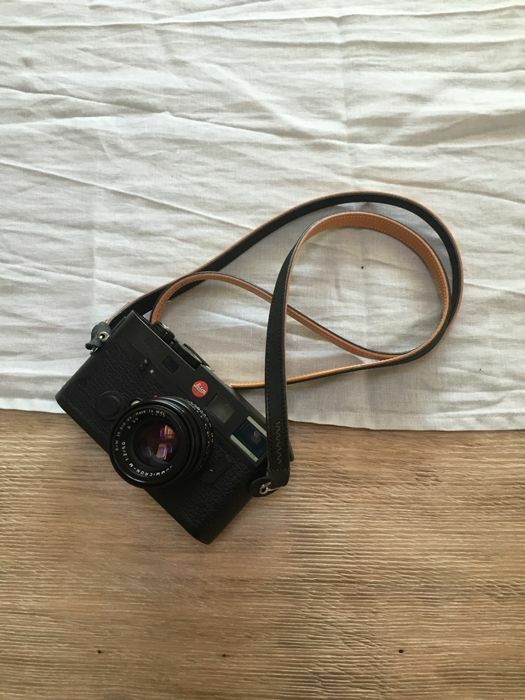 I personally don't like when the shape of the whole thing becomes like a ribbon because the middle part of the camera is thicker due to the lense thickness, which pulls more surface of leather that makes the two corners have too much space. (It is hard to describe via writing, so please take a look at the picture showing both bigger and smaller size of the case in the website.) But mostly, I really love and think that this case might be something that I can use for more than 5 years, and my friends all like it too. One more benefit of this case is that it gives you a feeling that you are using something that is not widely used, but so well made. I cannot find any internet reviews in the biggest Korean search engine. 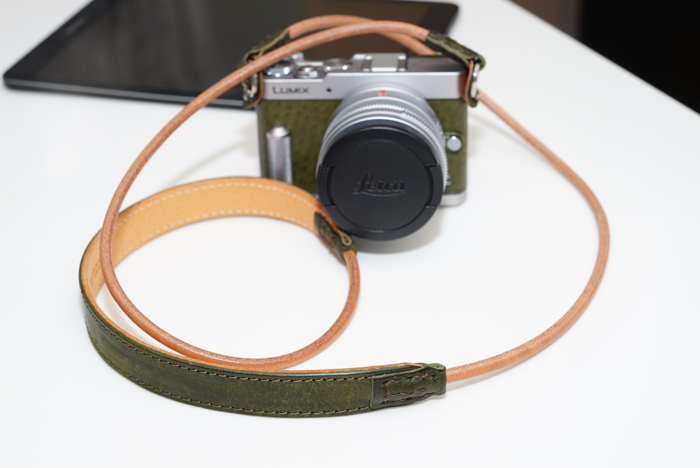 SLING SHOT is cool design and strong enough to hold my Leica M9. I like Italian leather too. Gorgeous. Thanks so much for this strap. 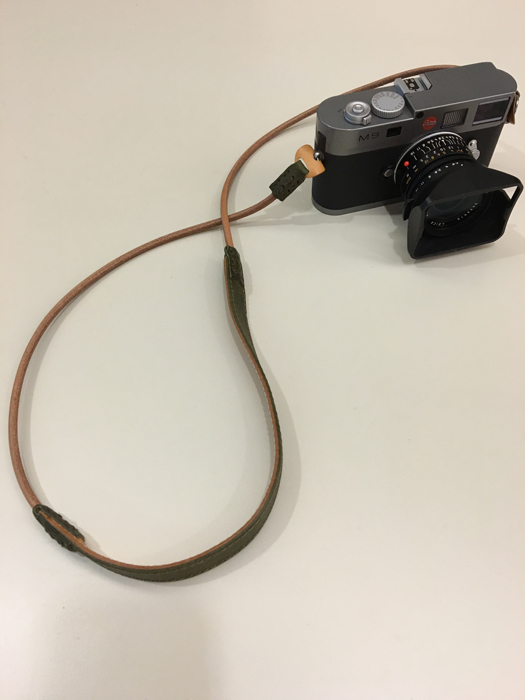 Feels just right for the Leica. I'm so happy! 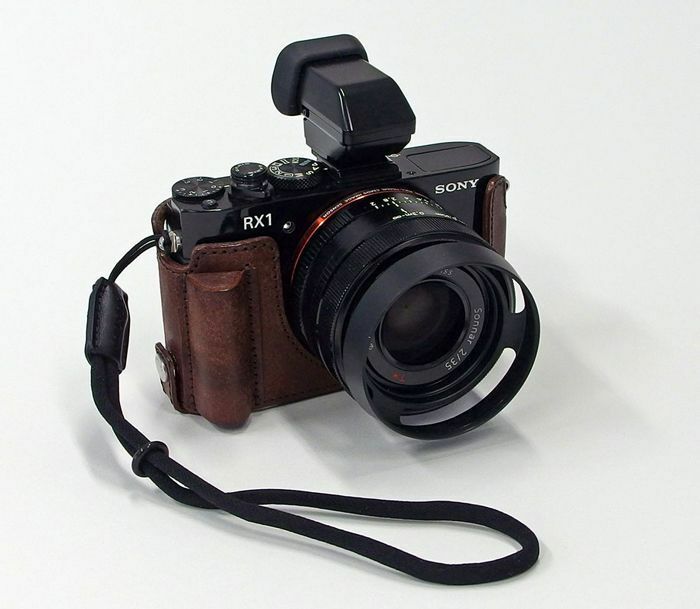 The Leather Camera Body Suit for SONY RX1 is fantastic! Thank you! Thank you! Very good work! Very good feeling! Much better hold! Only now, with the Ulysses, the RX1 is perfect! Thank you! A perfect match of color to my camera. Excellent quality and I am proud of it when it catches the eyes of many of my friend. I am very impressed with the high quality feel and construction of Ulysses products. Great finish and fantastic feel/touch of the leather. 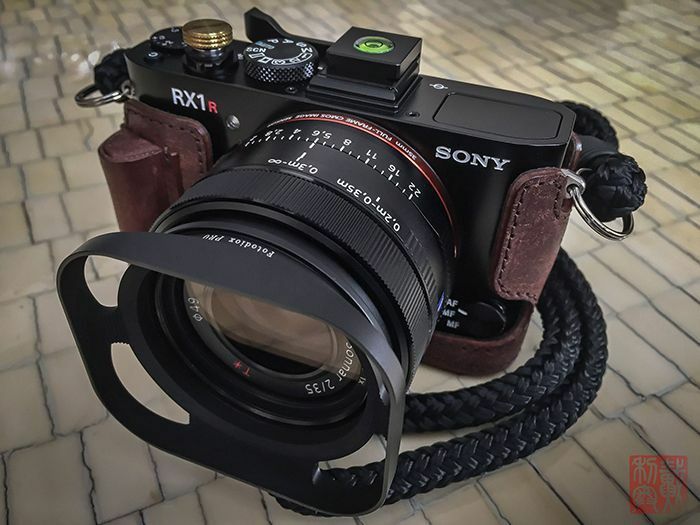 Fits the RX1 to perfection and adds a welcomed grip to the whole. Well done!